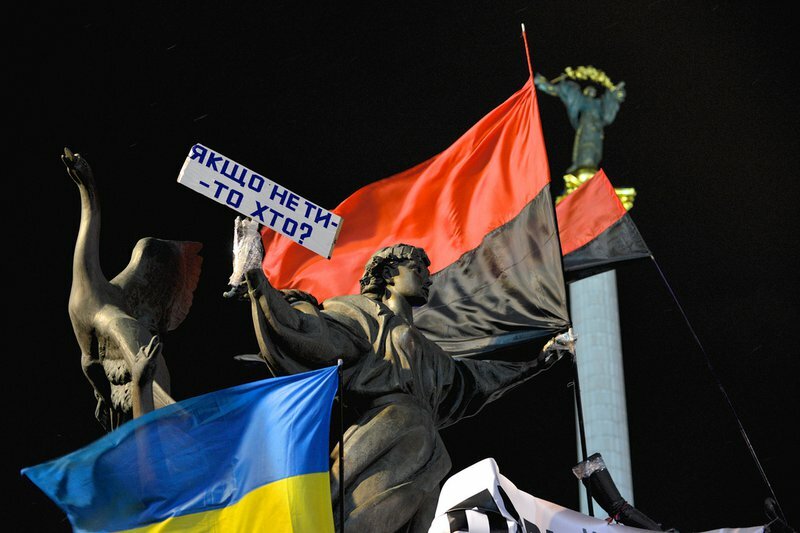 Many analysts and editorial writers have perceived the protests in Kyiv’s Maidan and elsewhere as a sign that the population is weary of the lack of progress in recent years and now wishes to force the issue: finally, to move Ukraine from the old and worn subordination to Russia to the freedom of Europe. The reasons provided are usually along the lines of: for a better future, to live like Europeans do, or to experience real democracy. (iii) and lastly, Yanukovych’s sudden meeting with Vladimir Putin in Moscow on 9 November (they met again at Sochi on 6 December), which suggested that he had made a decision to bring Ukraine into the Customs Union with Russia, Kazakhstan, and Belarus. Yanukovych and his Prime Minister Mykola Azarov have behaved badly and foolishly. In truth, Yanukovych and his Prime Minister Mykola Azarov have behaved badly and foolishly. The former appeared to be keeping all his options open until the last possible moment, in the belief that more could be achieved from the deal. Both underestimated the enthusiasm and commitment of protesters who could assemble through social networking links, leading the puzzled Putin to suggest that they had been organised and funded by European powers. They were without doubt less spontaneous than they appeared, but they were genuine and resulted from undisguised anger and a concern not to repeat the failures of the Orange protests of 2004. But these publicised events conceal a much deeper and more complex situation that embraces both politics and economics. Let us look at both in turn. 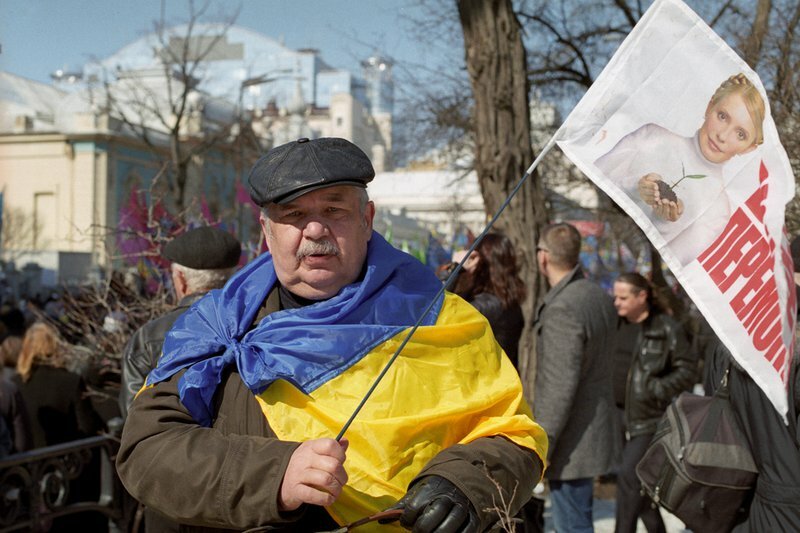 Ukraine’s political dilemmas have existed since 1991, when the decision was made to elect a national president. Over time, the authority of the president has been enhanced and that of parliament and the courts reduced. Under Yanukovych—and to some extent also under his predecessors—the election of the president was dependent on the financial support of businessmen, more frequently termed oligarchs. The election of Ukranian presidents is heavily dependent upon the financial support of oligarchs such as Rinat Akhmetov whose estimated fortune exceeds $15 billion. Akhmetov has so far remained loyal to Yanukovych. There are several such figures in Ukraine, but by far the most powerful is Rinat Akhmetov, who is reported to have a fortune exceeding $15 billion. Others include Dmytro Firtash, Viktor Pinchuk, Igor Kolomoisky, and Petro Poroshenko. They have vested interests in controlling sectors of the Ukrainian economy and keeping links open with the European Union, in which countries they have extensive commitments. Politically they lack strong leanings, though Akhmetov has generally remained loyal to Yanukovych and has been a member of Regions Party from its early years. 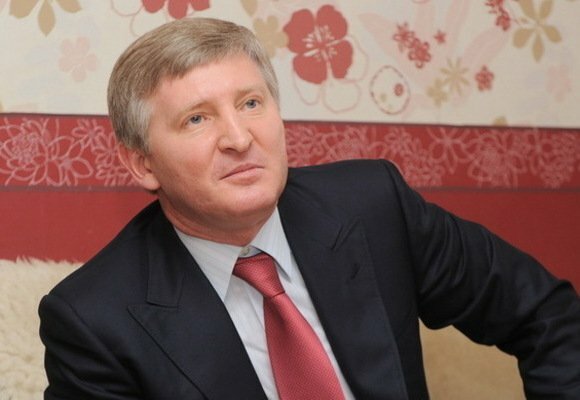 Akhmetov owns Shakhtyar Donetsk football team and he and Yanukovych were frequently seen together during the showpiece Euro-2012 matches there. The financial influence of these figures can hardly be underestimated. The richest four, according to Forbes magazine, accounted for 12% of Ukraine’s national output in 2012. Their reasons for supporting Europe are essentially selfish or, put more politely, matters of expediency. Closer ties to Russian could threaten their regional and international empires. By contrast the leaders of the opposition are rather ineffectual personalities. Yulia Tymoshenko, the exception, remains confined, serving a seven-year prison sentence. Former Minister of the Interior Yurii Lutsenko, who was released from jail earlier this year, has made radical pronouncements, but does not have the makings of a national leader. UDAR [Ukrainian Democratic Alliance for Reform, 'Punch' ] leader and former world boxing Champion Vitali Klitschko has the appearance of one, but lacks experience. Interim leader of Batkivshchyna [Fatherland], Arseniy Yatsenyuk, has an impressive ministerial background (Minister of Economy and Minister of Foreign Affairs), but he lacks the charisma of a revolutionary or national leader. Two consequences have been notable. One is the peripheral influence of opposition leaders in the protests. The other is the occasional hijacking of the protests by more extremist elements that would be only too happy to see violence ensue. The presence of Svoboda [Freedom] leader, Oleh Tyahnybok, who was expelled from former president Viktor Yushchenko’s Our Ukraine party in 2004 for his extreme right views, adds another element of unpredictability to the equation. The leaders of the opposition are rather ineffectual personalities… [And] leaderless revolutions generally fail. Leaderless revolutions generally fail. One can cite the mass protests of 1848 in Europe or the 1917 February Revolution in Russia that ended the monarchy. In the former case, there were fears among the middle classes that more revolutionary elements would take over; in the latter frustration with the newly formed Provisional Government’s failure to take decisive steps to resolve the issue of land and Russia’s participation in the First World War. (i) End the authority of the president, force his resignation, and change the constitution to empower the parliament, following the example of countries such as Estonia. This idea contains the innate flaw that the Regions Party controls the current parliament. Not only would it retain the status quo but it would also in theory allow Yanukovych to see reelection in 2015 through the parliament without going to the country—where he would likely be defeated. Linked to this demand is the punishment of those responsible for beating and detaining demonstrators and the release of those arrested. (ii) Call early elections or hold a referendum on the issue of signing the Association Agreement. The idea seems logical, yet the results would only deepen the fissures already present in the country. They would be unlikely to produce a decisive result, partly because although most of Ukraine’s regions might support a move to the EU, the opponents live in the most heavily populated industrial parts of the east and south (see, for example, my article on what Ukrainians want). (iii) Join the Customs Union. This option is unworkable. Even today, the Customs Union is fraught with disputes between its members prior to the formal creation of the Eurasian Union in 2015. Neither Kazakhstan nor Belarus is happy with the current demands of Russia. While in theory the addition of Ukraine might strengthen the Union, in fact such dissension would likely increase. The Customs Union is not a partnership of equals, and it is more about politics than enhancing the respective economies. Despite his duplicity and insincerity, Yanukovych made a valid point that the Agreement might not be the best deal for Ukraine. (iv) Sign the Association Agreement in the immediate future. Ironically, despite his duplicity and insincerity, Yanukovych made a valid point when he stated that the Deep and Comprehensive Free Trade Agreement might not be the best deal for Ukraine. Ukraine has massive debts (over $15 billion), and a GDP that will not rise more than 0.3% in 2013. In a recent survey, reported by Arka news agency, Ukraine was ranked the 99th best country in the world with which to do business, mainly because of high levels of corruption. Another prospective AA affiliate, Georgia, ranked 55th. Ukraine also has the lowest rate of national increase of its population in the world. It would be signing the AA as a country in serious need of economic aid, but with little will to make further sacrifices. Its ailing steel industry might be the first casualty. Its factories do not meet European standards, and the goods produced nationally would be far less competitive in an open European market. In short, Ukraine is not ready to join the EU and perhaps more to the point, the EU most likely would not survive Kyiv’s membership in the Union. The mythical vision of the EU as some sort of miracle cure for the Ukrainian patient is a delusion of many; the reality is that Brussels itself has recently alighted from its hospital bed and could return there if it catches another chill. Is there a solution for the current crisis, given that one attempt to bring down the government through Parliament has failed? The answer might lie within i.e. the need for some sort of alliance between what might be termed ‘progressive forces’ of the country on different side. In short, some sort of coalition that could replace the current predominance of the Regions in parliament prior to the next presidential elections in 2015. This coalition could make trade, or other, deals with Europe or other partners. Conceivably, it would be in a better position to make a request for a new loan from the IMF, which is unlikely to deal further with the present leaders. A coalition regime might operate beyond or around the current political structure, but it would need to replace the current authority of the Regions Party, which is self-serving and avaricious, and has no real interest in the future of Ukraine. But it would also need to steer clear of extremist elements. Above all, the Ukrainian state, which has been in existence for 22 years, needs to assert itself and its own interests rather than perceiving its future as a choice between two diametrically opposed blocs. Frankly, there was no such option in the first place. The EU is not planning to expand further in the near future; and Russia has little to offer from close integration, other than the role less of an elder brother than a school bully. In fairness, the remark should be directed at the leadership in Moscow rather than Russians as a whole, many of whom protested against Putin during the 2012 elections in numbers similar to those in the Maidan. An emerging nation is very much like a child: it needs to stand on its own feet before deciding on a future career or lifestyle. 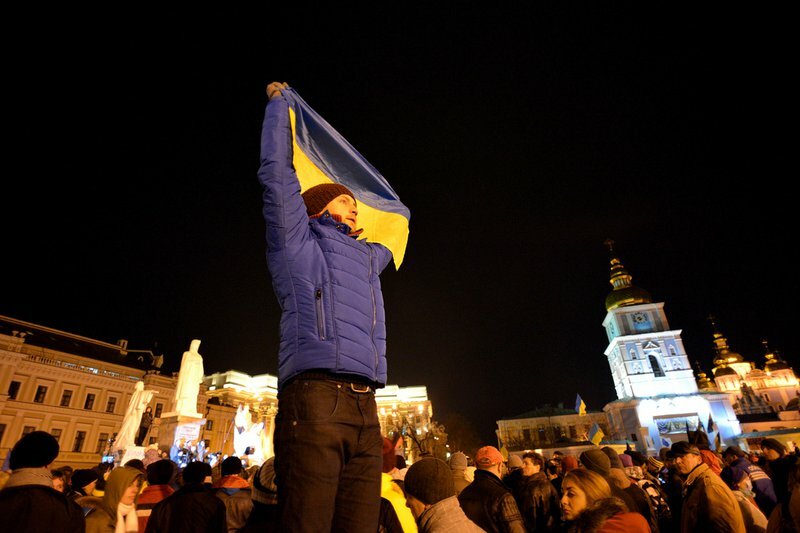 The Maidan demonstrations are impressive in size and commitment, but the reality is that an emerging nation is very much like a child: it needs to stand on its own feet before deciding on a future career or lifestyle. There is no Nelson Mandela in Ukrainian politics, but there is sufficient experience and financial acumen to determine an individual path that is not dependent on the whims of Moscow or Brussels. The alternatives are simply much too bleak.